For information on homeopathy and homeopathic practice, as well as links to much reference material, research and the results of clinical trials. 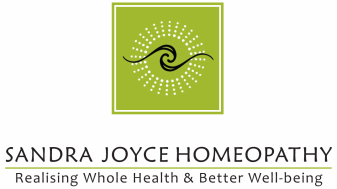 A growing database of patients’ testimonials and experience using homeopathic medicine. If you need urgent homeopathic advice you may call anytime from 0900 through to 0000 GMT. Usually you will be able to speak to a registered homeopath who is also a pharmacist. Advice given is mainly concerned with acute problems, or advice in the absence of your regular homeopath on holiday with no locum available, or advice about the suitability of your problem for homeopathic treatment. You may be advised to go to see a doctor or an accident or emergency department, if homeopathy is not the right solution. Or you may be advised which homeopathic remedy to obtain, and from where you may obtain it. This is a premium rate number regulated by PhonePay Plus for professional advice. For those involved with livestock, horses and other animals, homeopathy works for these individuals too! The spelling of ‘homeopathy’ can be seen to vary! The original, and correct or classical form is ‘homœopathy’, but modern day general use is happier with the simpler to use ‘homeopathy’.